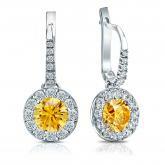 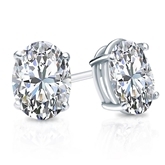 Each of these gorgeous earrings is truly one-of-a-kind. 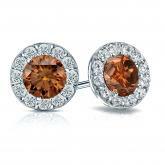 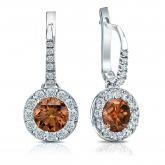 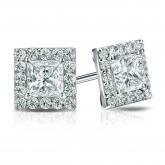 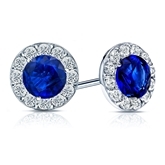 Featuring a variety of diamond and gemstone earrings set in luxe precious metals, our one-of-a-kind earring collection offers designs unlike any other. 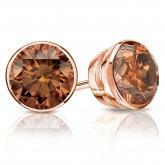 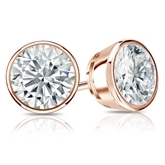 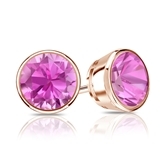 14k Rose Gold Bezel Round Pink Sapphire Gemstone Stud Earrings 2.00 ct. tw. 14k White Gold Halo Round Blue Sapphire Gemstone Earrings 2.50 ct. tw. 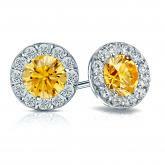 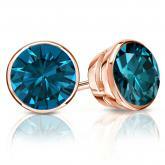 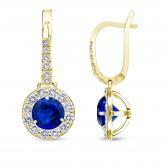 Certified 14k Yellow Gold Dangle Studs Halo Round Blue Sapphire Gemstone Earrings 3.00 ct. tw. 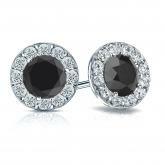 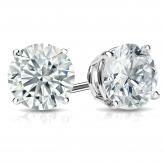 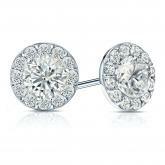 Certified 18k White Gold Halo Round Black Diamond Stud Earrings 3.00 ct. tw. 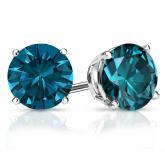 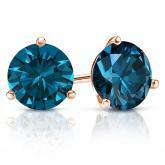 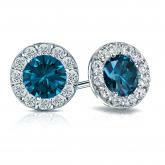 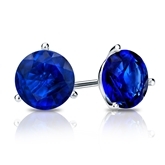 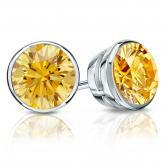 Platinum 3-Prong Martini Round Blue Sapphire Gemstone Stud Earrings 2.00 ct. tw. 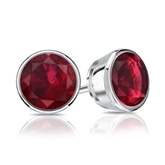 Platinum Bezel Round Ruby Gemstone Stud Earrings 2.00 ct. tw. 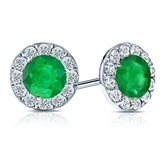 Platinum Halo Round Green Emerald Gemstone Earrings 1.50 ct. tw. 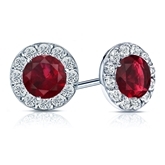 Platinum Halo Round Ruby Gemstone Earrings 3.00 ct. tw.